A quintessentially French ski village, Vaujany enjoys the luxury of miles of pistes, excellent snow and an appealing local culture that keeps holidaymakers returning to its slopes time and time again. 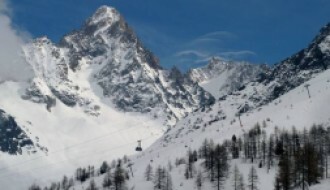 An innovator in French snow sports, the village created one of the largest cable cars in the country to connect it to some of the best slopes France has to offer. Unlike larger or more commercial resorts, Vaujany maintains its classic village feel, with everything done on a small scale despite the number of visitors that make their way to its pristine pistes each year. Taking a more relaxed approach to life, this village is ideal for those wanting to learn the ropes or experience skiing on a smaller scale, without sacrificing slope space. Combining French alpine culture with masses of snow sports and winter activities, Vaujany offers the best of both worlds, combining old-world charm with modern luxury thanks to the resorts and chalets dotted around. A permanent population of just under 300 makes Vaujany one of the smallest resorts out there that still provides state-of-the-art amenities, from an on-site creche to excellent leisure facilities. Vaujany may experience a modest increase in visitors during peak holiday seasons, but despite its proximity to miles of slopes, it retains its village feel, making it ideal for those who prefer to steer clear from more extensive or commercial resorts that can often feel crowded and busy. Outside of the winter season, Vaujany still has much to offer. Alongside immersion with local village customs and events, there’s plenty of rugged French countryside to explore outside of the main village. From mountain biking to hiking, rock climbing to gentle walks, there’s plenty to see and do. 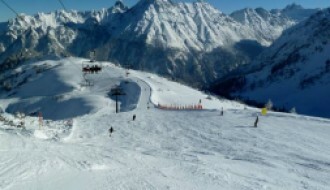 Vaujany features a staggering 248km of pistes in the nearby area, with the majority of slopes available in the Alpe d’Huez region, just a short distance from the village. 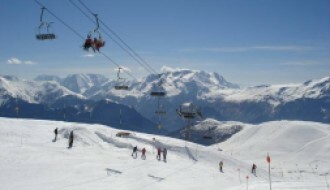 Nearby resorts and towns include the popular Montfrais, part of the vast resort space that Alpe d’Huez includes. The famous La Combe du Loup is one of the best-known runs for the area. For those looking to experience the snowier seasons of Vaujany, late December to March are the ideal times to visit. A snow level of 110cm, from the yearly snow report of Vaujany, makes it suitable for those who love to hit the slopes, and January-February are the best months for those wishing to ski all the way down to the village from the heights of the mountains. For up-to-date snow and weather reports, take a look at our resort guide here. Despite its small size compared to many of the resorts and villages in and around France, Vaujany brings its own brand of amenities and luxuries to holidaymakers. Its slightly off-the-beaten-path location allows visitors to enjoy the wealth of slopes available while still experiencing small-scale village culture. Vaujany is not a party town, but it offers all the bars, restaurants and stores you need to make the most out of your visit. For families or individuals, the village is a particularly friendly place to stay, with a more laid-back way of life. For families with younger children, Vaujany also includes a state-of-the-art creche in addition to all the leisure facilities you could need. Combined with the fresh mountain air and beautiful scenery, you’ll never feel better. There are plenty of things to do in Vaujany for the whole family. 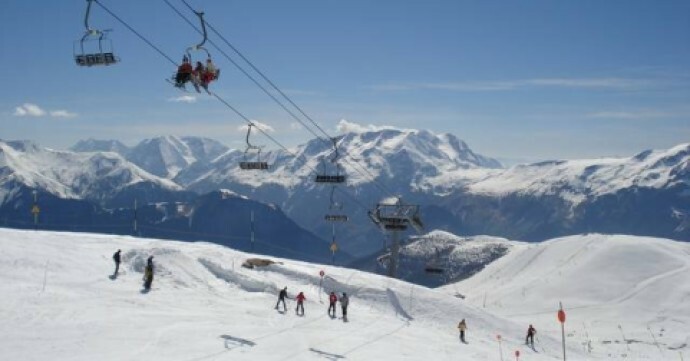 The village is also looking to further improve its potential with a huge €32.5 million investment into new lifts and pistes for the popular skiing areas in and around the locale. Due to finish in 2020, the large-scale project is sure to make Vaujany even more of a desirable prospect. This village has a variety of different property types to offer for those looking into buying a property in Vaujany, including modern chalets and resorts as well as more traditional French alpine architecture. If you’re considering investing in a resort or skiing property, living in Vaujany might just be the ideal choice for those looking for a slower pace of life. From buildings with old-world style and flair to the more modern wood chalets on the outskirts of the village, there’s a range of options for your consideration. A popular but often overlooked location, Vaujany is the ideal mid-point between calm village life and the vast slopes of a larger resort. Reaching Vaujany is relatively easy, especially during the winter season when more shuttles and public transport is available to the various villages and resorts around the area. Flying into the airport at Grenoble is the ideal choice for many travellers, at just an hour from the village itself. Travelling via hire car, taxi or shuttle along the A480 can also allow you to reach Vaujany easily, though the village is not well-signposted and can be reached from junction 8. Copious free parking is available in and around the village. The perfect French ski destination, Vaujany offers small-town skiing with resort-style aspirations and increases in popularity year after year. For those considering investing in a village that’s more than it first appears, then Vaujany might just be the best choice for you.